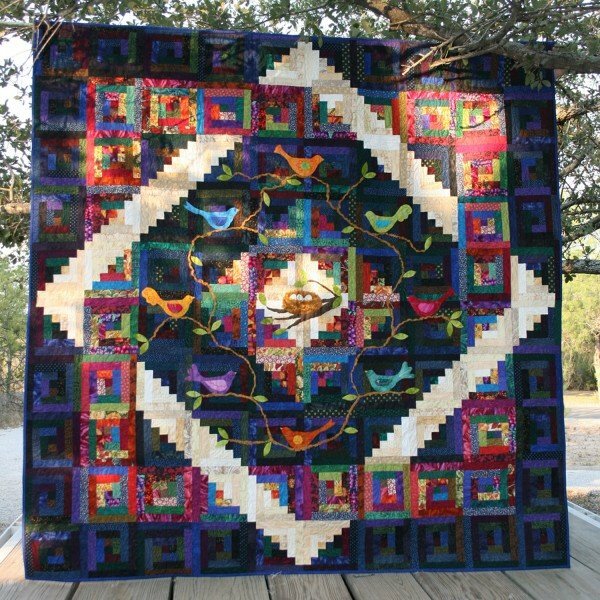 A flock of birds of all different feathers fly away home on a log cabin background with a lovely block set. The center motif is a delightfully embellished bird nest. A great addition to your “roost”.